Since the last recession, our homeschool co-op has been too small to support a blogging class, and while most of the how-to information on this blog is still relevant, the internet keeps a-changing. So I’ve decided to refresh everything by starting up a new Blogging 101 Series, using several of the wonderful WordPress.com tutorial videos and adding tips especially for student bloggers. I hope you find it useful! If you are new to the internet, read Kim Komando’s 10 Commandments for Kids Online. The most important thing to remember for blogging is that personally identifying information is NOT ALLOWED: no full names, no addresses, no phone numbers or email addresses, not even the name of your home town – and don’t share your friends’ information, either! Will you use your parents’ email or get a separate account? Most of the information about your blog will be sent to you by email, so this needs to be an account that is checked frequently. For Kitten, I set up a separate account and then have my email program check it automatically whenever I check my own mail. If she has a message, I can let her know. All bloggers love to get comments, and normally you don’t want to do anything to discourage someone from commenting. I suggest that you DO NOT moderate comments, but just keep a watch on your email notifications. Nasty comments are very rare, but if any of them do come through, you can delete them right away. Some parents prefer to keep a tighter control on their students’ blogs, however, so the decision belongs to you and your parents. 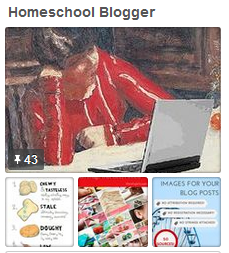 Check out the Homeschool Kids Blog Carnival for more ideas. Notice that the students post a wide variety of fiction and nonfiction, serious writing and humorous stories, family stories, book reports, favorite jokes, videos, pictures, and more. Some blogs (like mine) are topical or based on a certain theme, though the writer may wander off down an occasional rabbit trail. Other blogs are personal, following the author’s interests wherever they may drift. What will you call yourself online? What will you call your blog? To get ideas, think about your hobbies and interests. Try to think up 5-10 possibilities, and then choose your favorites. List your top three choices, in order of preference, in case someone else has already used the name you like best. You will need this list when you get ready to set up your blogging account. Important: Show your list to your parents, so they can warn you if any of the names you chose have unsavory connotations or other meanings that you aren’t aware of. 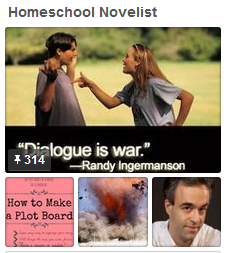 This entry was posted on Thursday, October 11th, 2012 at 6:23 am	and tagged with Blogging 101 and posted in Beginner. You can follow any responses to this entry through the RSS 2.0 feed. I’m glad you found my article helpful, Angelica. My daughter started blogging when she was just 8yo, and she has grown into quite a young writer. i’m wondering if the correspondence course for blogging is still going on? The “Correspondence Course” is really just this blog, so you can take it at your own pace. When I was running my homeschool co-op courses, I told the families to plan on at least an hour a week for blog-related work, which can be counted as part of your language curriculum. If your daughters would like to be included with the other students in my Correspondence Course blogroll, please let me know when they get their blogs going. Since my homeschool co-op moved to a new location that didn’t have internet service, our local blogging class died out (though my daughter and one other student still write blog posts from time to time). Lately, I’ve been putting more energy into my math books. I will continue to post new blogging ideas here, but not as frequently as when I had a live class. If your Math books are as interesting as this blogging site; I would certainly be interested to know more about them. My girls are in high school grades. If you’d like to check out my math blog, you can decide for yourself how interesting it is.